A great stand alone statement bracelet in beautiful soft heather gray agate tones. Gorgeous striations and milky coloring throughout. 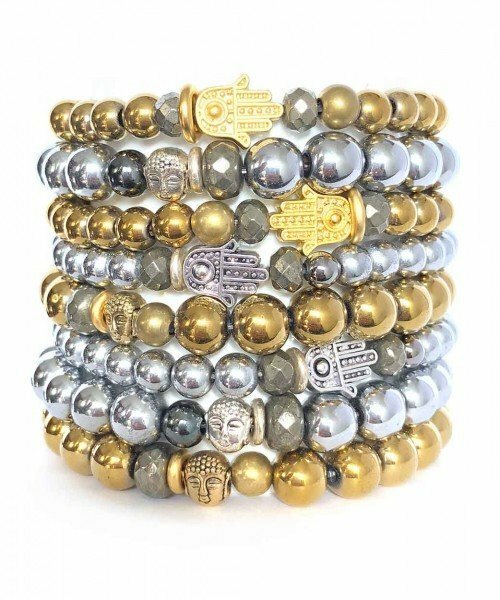 Evil eye, pyrite, gold, and brass details make this beauty extra eye catching.